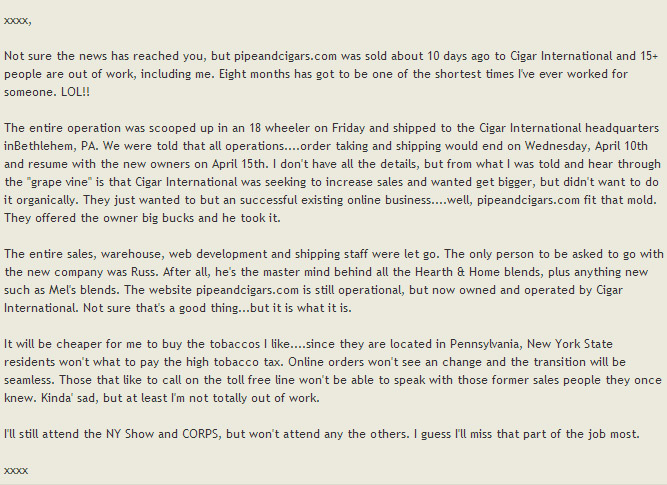 Rumors and speculation were running rampant yesterday about the future of PipesAndCigars.com. They were in fact acquired by Cigars International. The confusion and conflicting information was the result of their original intent of not making the announcement until the The Chicagoland Int’l Pipe & Tobacciana Show. The show takes place in early May. The Chicago show is the largest pipe and tobacco show in the world, so many companies make their big announcements there. Those plans were foiled for PipesAndCigars.com when an email from a former disgruntled employee was posted and re-posted in different online forums—the sender and recipient names having been removed. The email is shown below. This sparked more gossip and misunderstandings being posted in forums, which resulted in the company realizing that they needed to put out an official word now. Even after they decided to formalize the news, there were still some employees answering email inquiries with denials of the acquisition. As word spread to the public, some workers had not yet been informed that they could speak openly about it. While the unauthorized email somewhat villainizes the loss of jobs, Pipes Magazine has been informed that severance pay was provided to the employees that were let go. Furthermore, non-disclosure agreements were signed and the anonymous former employee that sent the email may have his or her severance in jeopardy as a result. We spoke to Russ Ouellette via telephone last night. As a result of the acquisition, Russ’ responsibilities will be expanded and additional resources will be made available for increased product development and marketing. 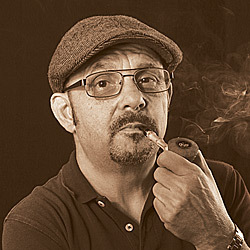 Russ has been with PipesAndCigars.com (P&C) for over a decade and has developed nearly 200 pipe tobacco blends. These include many Hearth & Home branded recipes and several custom blends for different customers. In addition to a planned acceleration of new tobacco offerings falling under Russ’ responsibilities, he will now be the official spokesperson for P&C. He is already so well-known from his many years in the business, attendance at pipe shows, and from being the creator is so many best selling tobacco blends, that this is a natural fit. 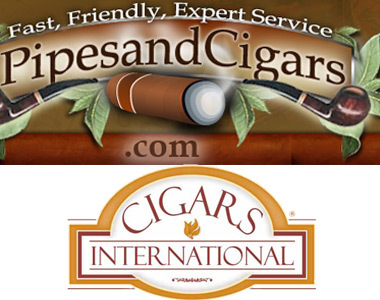 The former owner of P&C, Scott Bendett is contracted for 2-years as a consultant to Cigars International for the online business. He retains ownership of the two brick-and-mortar Habana Premium Cigar Shoppe locations in the Albany NY area. The physical stores were not part of the transaction. According to Russ, "This is actually good news for our customers. Since we now have more resources, you can expect improved customer service, faster shipping, reduced fees on expedited shipping, and more special promotions. We are holding prices steady… and we still have a big announcement for Chicago, so be sure to come by the PipesAndCigars.com tables." Another benefit for customers that reside in New York state is that they will no longer have to pay the exorbitant 75% state tobacco tax. Pennsylvania, where Cigars International is located, and now P&C as well, has no state tobacco tax. Russ Ouellette will also continue to write articles for PipesMagazine.com, as well as increase his output of content creation for PipesAndCigars.com. Cigar International is one I’ll NOT deal with. It’s nice to be optimistic but I don’t like the sound of it. What will happen with our club blends? Sounds like greed prevails once again. Sad. I agree with OldTom! Too bad… I like Russ a lot! Respect him too! I have had many transactions with CI and never a bad one. They have been my primary source for cigars for many years and I can say that their service has always been exemplary. Cigars International handles all of the best cigars and a huge selection of some house blends which are all high quality IMO. Personally I feel sad about the loss of jobs at the NY operation and hopefully those people let go will find suitable employment in short order. It’s totally understandable from my viewpoint for the operation to reloate in PA especially for the tax relief. All that being said, it should be a win situation for all pipe smokers in my opinion and I will certainly continue to do business with them even more than before. 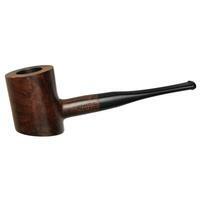 I wish them good luck, and look forward to an even more expansive selection of pipes, cigars and tobaccos. I have to second that Doc. They were my only retailer for all things cigars but I always thought their pipe offerings weren’t as robust as some other etailers. I think this marriage will truly give us a one stop shop opportunity. I don’t know if I like this or not. I’ve been a customer of P&C.com since 2000 (at least) I’ve lived in four states and never, ever had a problem with my orders. well I guess the good news is for Scott, i’m sure he made a ton of money in the sale. When an entrepreneur risks everything to strike out on his own, works hard enough and is smart enough to reap the rewards, he earned it and he deserves it. There’s no guarantees of success. Alternatively, he could lose everything. The same goes for jobs. There are no guarantees here either, but an employee, just like an entrepreneur, if he works hard enough and is smart enough - and keeps his skills up to date and has a good attitude will get another decent job. My congratulations to Scott on the sale and to Russ for what seems like a decent promotion and more opportunity to be creative, which leads to a more fulfilling life. The negativity of some people just astounds me. I want people who are attached to the clubs that we make tobaccos for to feel secure that the agreements we have in place with them go unchanged, and if anything, we expect their brands to grow greatly going forward. We have been fortunate to grow quite a bit in recent years, and were approaching the point where we would have had to make huge changes in our infrastructure, which would have been unwieldy at best, and very difficult, at worst. The current arrangement solves those problems and can only serve to benefit our customers. I understand the apprehension that goes with change. I’m making a big change myself, but if I didn’t feel that this move was going to benefit everyone concerned, I wouldn’t have stayed with Pipes and Cigars. Our customers have been incredibly supportive of us, and me in particular, over the years, and I hope that they will trust my word enough to believe that we will continue to deliver the experience they’ve come to enjoy, along with many additional plusses which you all will see in the weeks and months ahead. I went to pipesandcigars.com’s website and loved the selection. When an email came and stated that my order had a 75% tax on most of the stuff I had ordered, I had to cancel my order. Hubby already orders from CI. This would be the second match made in heaven in my household. I’m sorry that people lost their jobs. That just bites for anyone. But, they got a severance which is more than some people can say in this job losing economy. I’ve only bought from CI once but there were no problems. Have bought from P&C several times and will most likely continue. Tobacco companies seem to change hands every other day,why shouldn’t retailers merge and consolidate? I’ve only been smoking cigars for about a year, but CI is where I placed my first order- and it’s the only place I’ve ordered from because the prices are competitive and the service has been awesome (no, I’m not getting a free box of Nub 460s for posting this ). If I end up not living in Washington State I’ll happily order pipe tobacco from P&C, and probably a couple pipes a year to boot. But please! 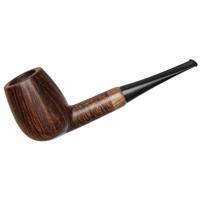 find a way to make the pipes section at the new site more user-friendly. Many of us choose to do little or no business with them as they are attempting to control the entire sales cycle IE: manufacturer, distributor and retailer. Perhaps they should choose just one and stick with it. Will Hearth and Home blends still be available, or are some of us about to pay grossly inflated e-bay prices for some Fusilier’s Ration of Blackhouse? This is distressing to me. 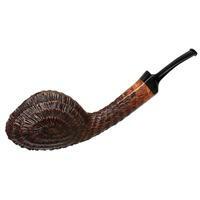 I’ve been dealing with pipesandcigars.com for years now and the staff was always nice and very helpful to me whenever I needed it. Not sure if I’ll keep dealing with them now. I do/did love their wide selection of products, but also the folks I dealt with made it better. Hearth & Home will continue as it has, and will only become stronger going forward. I’m excited by the opportunities that I’ll have to do more with the brand. When you see the new products we’re working on, I hope you’ll all be excited too. So much for free speech, the so called ‘disgruntled employee’ doesn’t really come across as being that disgruntled, in my opinion. And I really don’t appreciate the so called’ management using this site to criticize and threaten an ex employee in the name of ‘clarity’ for customers. Clearly they don’t know how PR works. Bad show pipesmagazine. I expected better. Extremely unprofessional behavior from all parties involved. I’m really stoked about this. Not only is Russ still at the helm for pipe tobacco blends, but now I don’t have to pay those exorbitant NYS tobacco taxes! Woo-hoo! Time to buy more Mason Jars! @dubinthedam - We didn’t make the news, we just reported it. The person that sent that email did it of his own free will. The email was already out in the wild and posted all over different forums before we published it. That’s where we got it from. It was public information before we published it and it is our journalistic duty to report accurately. As to “free speech”, a legally binding confidentiality contract is not over-ridden by the First Amendment. If a person signs a contract saying they won’t talk about something, and then they do so anyway, they have no one to blame except themselves. I’m glad to hear from Russ on this. I was a little worried about the situation over the weekend. CI is one of my favorite e-tailers, so I guess this should be good for all parties. 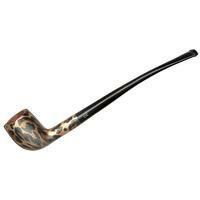 Being in the “wonderful nanny state of NY”, I’ll be able to buy H&H w/o having to horse trade or go to smokingpipes.com. Looks like a win-win…..
PS: Isn’t CI owned by Scandinavian Tobacco Group (STG)???? Russ, thank you for clarifying the situation regarding Club Blends as, of course, the club and I have a vested interest in what will happen going forward. I am glad to hear that things will only improve. I feel bad for those who lost their jobs and am thankful for their faithful service over the years. I am glad to hear that Russ will continue to blend not only our spectacular NY Pipe Club blends but the many other exceptional Club blends as well as all of his own wonderful blends that we love to smoke! All the best to Scotty and the gang and I hope that things work out for the best for all affected. @doverpipes - Yes. CI is owned by STG. Life goes on. Live and let live. Thank You Kevin, for the information and setting the record straight. If they consider this to be an email/letter from a disgruntled employee, then they have not seen a really pissed off former employee. This letter appears to be well written and does not contain any sort of proprietary information. As an attorney, if the sender of this letter received some type of gift or monetary payment for this information (at least in the state where I reside), he might be in hot water. However, I sense that no such transaction took place…only an email from a friend to a friend (maybe not for long). The sender could have used better judgement in making this information available and should have allowed time to take its course. It seem evident that P&C and/or CI would have made some announcement at some point. However, the receiver of the email should be punched in the nose for violating a trusted friendship and communication. As for Mr. Bendett, he also should have used better judgement. The selling of a business is a big deal and past/present customers would have appreciated knowing from the get-go what was happening, rather than finding out on forums or from well meaning individuals, such as the sender of this letter. I wish for good things for both CI and brick-and-mortar, known as “Habana Premium Cigar Shoppe” in the Albany. The email from the “disgruntled” employee is pretty innocuous. I can’t imagine why someone being laid of would agree to sign a confidentiality agreement. I suppose he could have received some form of severance pay for that. I can’t imagine CI has suffered any harm by this. If they seriously thought they could keep this secret for 2+ weeks until the show they were more than just a little naive. They may not get to make a surprise announcement at the CPCC Show, but they can still do a dog-and-pony show related to the transaction. As for Scottie selling out, well that’s just life. I have met very few men in my life who when offered more for something of theirs than they thought it was worth wouldn’t sell. You do hate to see good people lose their jobs. We should be much more worried about them than a company’s artificial need for secrecy. Just to clarify, all of our employees signed a non-disclosure agreement upon being hired, so the agreement was in place well before we moved our operation. All is well. As long as Russ keeps on keeping on…Louisiana Red is the bomb! Regards and best wishes to all. Russ — sounds like a pretty standard legal agreement. I’m subject to one myself. It does lead to a double-edged sword, however. On the one hand, the employee is supposed to keep his/her mouth shut. On the other hand, if an employee publicly discloses information that is both damaging to the company yet had legitimate public interest, then the company ends up looking like real jerks if they retaliate against whistle blowing. As a journalist, I’ve gotten to see this kind of thing play out a lot. Most companies admonish the employee privately and let them know to not let it happen it again, while a few are cutthroat enough to actually punish them regardless of the PR damage. It’s an interesting dilemma. On the one hand, you very much have a right to enforce contracts. On the other hand, we live in a society where free speech is valued very highly. Restricting it — even when you have the legal right to do so — looks terrible. BTW — when will Fusilier’s Ration be available in large tins? I’m ready to buy a truckload or two…. gotta say, I’m happy just got my order, all of my order, even the back ordered stuff which didn’t show as shipped. Yay! I have baccy again and the new pipesandcigars.com came through nicely. All i know is that i placed an order with PipesAndCigars.com early in April and the product was listed as “In Stock”. They then notified me that it was “Out of Stock” but should be shipped within the week. It is now listed as “Back Order” and i have been waiting a month. PipesAndCigars.com is not looking too good to me right now. 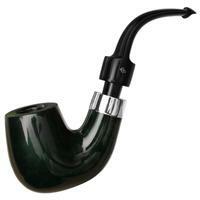 Same deal here placed an order with PipesAndCigars.com June 4th and the product was listed as “In Stock”. They informed me that it was “Out of Stock” (after I chased them down on the phone) and should ship within the week. They did agree to substitute one item of a different brand so I wouldn’t be without while waiting. PipesAndCigars shipped the 1 item and marked my entire order as shipped. 20 days later I am out of baccy and patience. I am very sad to find out the company has changed hands, if this is what I can expect I will have to find another source.